A couple of weeks ago we were out on a photo shoot in Mid-Essex in glorious sunshine. Our first stop was Thorndon Park, Brentwood. 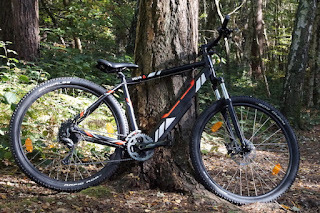 There are some lovely cycle trails here and a forest type feel to some of the areas. 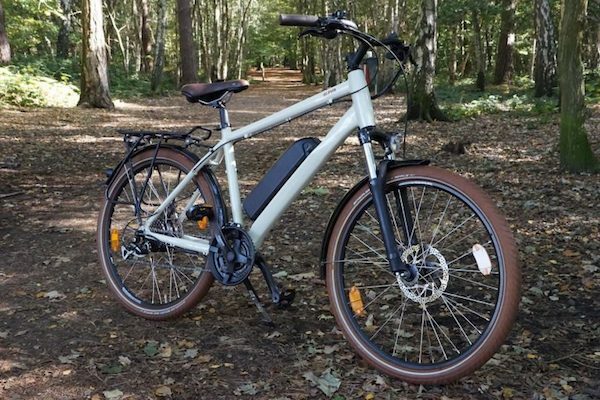 The white Batribike Alpha looked gorgeous on this lovely wide trail. There were a few leaves on the ground and the dappled sunshine coming through the canopy. 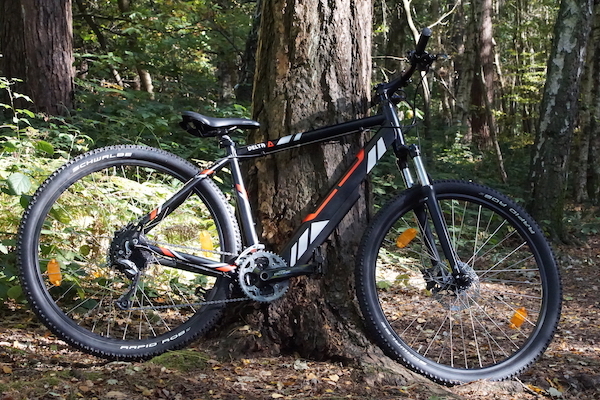 In contrast the Batribike Delta eMTB looks set for a great adventure against the ridged bark on this tree. From Thorndon Park we headed through the villages towards Chelmsford. 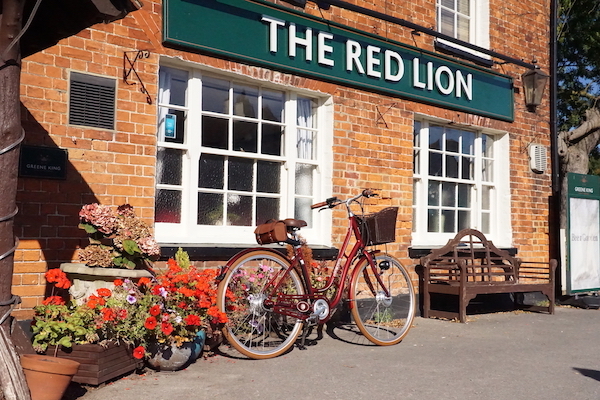 The Red Lion pub at Margaretting was such a great colour in the sunshine we just had to stop and take some pictures of the Quintessential. The regulars inside were intrigued to see what was going on and came out to see us. 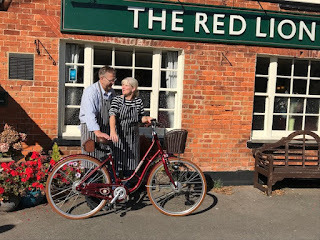 It was great to be able to chat about electric bikes and how they worked. 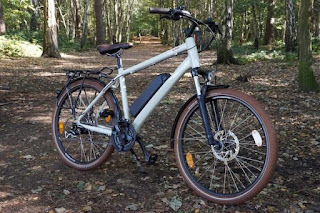 Everyone was amazed at the hidden battery in the saddlebag. 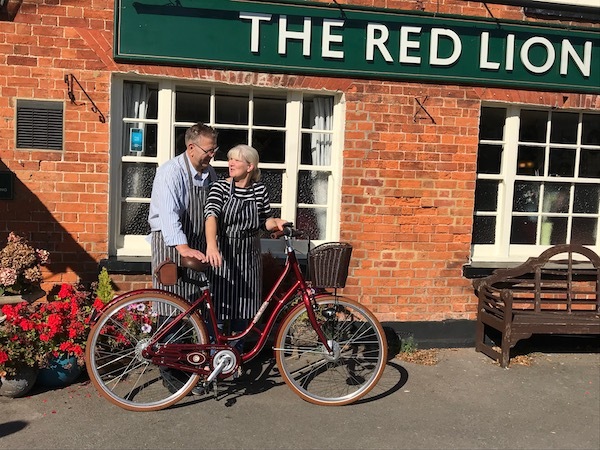 The Landlady and Landlord came out to see why everyone was busy outside and couldn't resist having their photo taken with the bike. 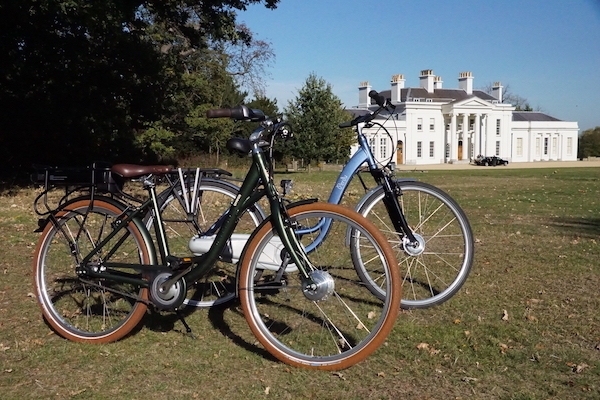 Finally we headed to an iconic Chelmsford landmark, Hylands House for a last couple of pictures with the Omega and Perdu step-through style bikes. The Cycle Show has come and gone for another year. As always it is a busy time for us. When we are waiting for the doors to open on the very first day it is lovely to see our stand looking smart with shiny bikes. 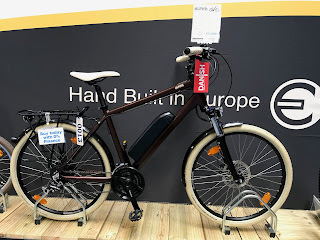 This year there seemed to be a few less exhibitors in the electric bike area, some of the cheaper Chinese offerings were conspicuously absent. 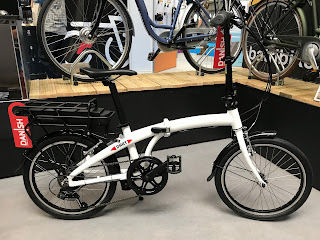 The Batribike range is built in Europe using Danish design and offers what we believe is an industry leading warranty, customers really appreciated the quality of our components and our competitive prices. 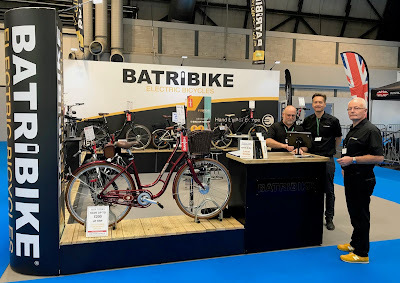 The first day of the show is trade day and we were busy all day on the Batribike stand, talking to existing and new dealers. It is great when professionals in the industry love our bikes too. 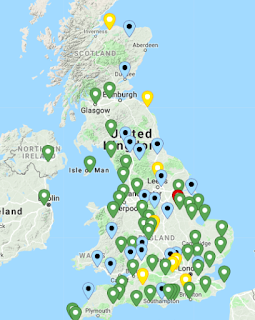 Today – back from the show - we are busy adding all the new locations to the “where to buy a Batribike” map on the website. 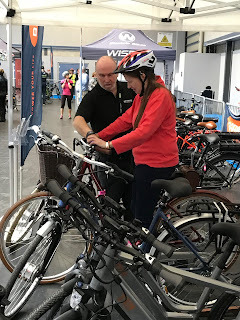 The show was open to the public from Friday morning and our test ride area bikes were busy straight away. 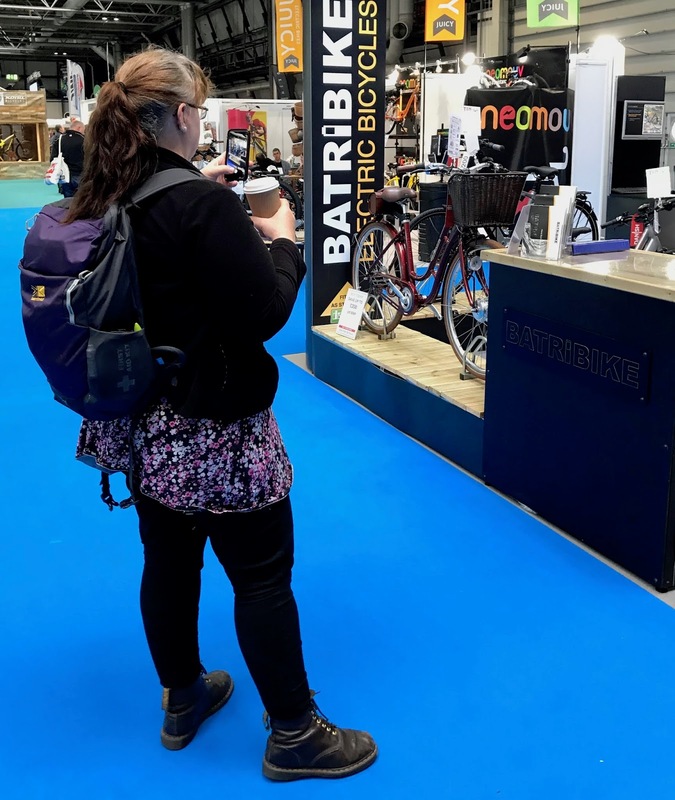 With comments like “smooth”, “comfortable” and “easy to ride” coming from the riders we were more than happy with the impact the Batribike range was having. It is not often that we have something so new on the stand that we don't even have an info tag for it. 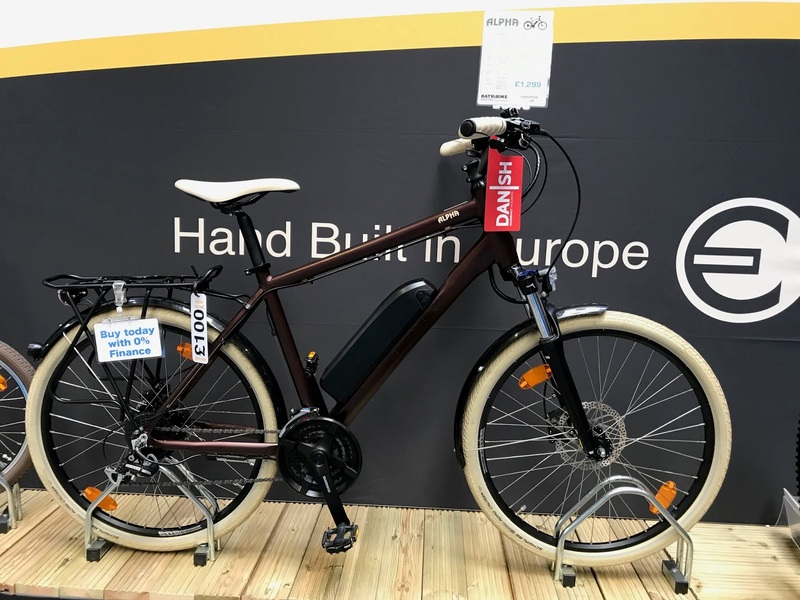 When the guys came from Denmark for the show they brought with them our brand new filing electric bike - the Dart - it will be available in the Spring with a ticket price from £999. The styling and the black and white paint finish certainly caught the eye of a lot of show goers. Look out for it on our website early in 2019. 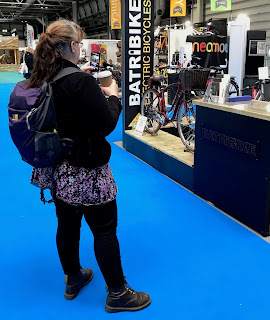 I do enjoy working at shows like this, it is so nice when existing customers come back to see us and tell us where they have been on their bicycles, we know that Batribike is part of their journey and their leisure time.